The session focused on how residents can tap into their own communities, organize, and lead movements for housing in their own communities. Dr. J Otis Smith, principal of Stand By Systems II, Inc. opened up the session by urging residents to tap into their leadership potential and be deliberate about building teams that make positive social impact and transformative change. 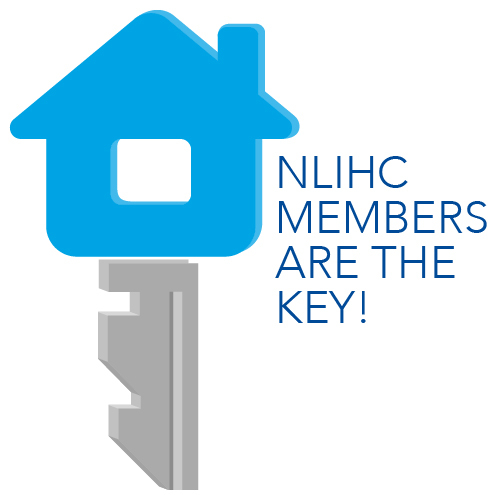 The annual resident session would not be possible without the support of NLIHC members! Join today! The session featured examples where residents mobilized and demanded their voices be heard such as in Charlottesville, VA. Following their meeting at a prior NLIHC Resident Session, the Chicago Anti-Eviction Campaign teamed up with the Public Housing Association of Residents (PHAR) of Charlottesville, an NLIHC member, to create a Section 3 exchange program between public housing residents, resident leaders, and Housing Authority leaders from Chicago and Charlottesville. Both Willie “J.R.” Fleming, Executive Director of the Chicago Anti-Eviction Campaign, and Joy Johnson, PHAR Board Member, shared how they were able to make the exchange a reality through collective action organizing. Events such as these are only possible through the support and contribution made by our members. Consider supporting this work and join us!